We all have so much to give and share with the world but, sharing it within the massive online space can feel daunting like you're in a sea of people, platforms, pictures, and video. I genuinely understand how new digital entrepreneurs can get overwhelmed and not know what's most important to work on first in their business. 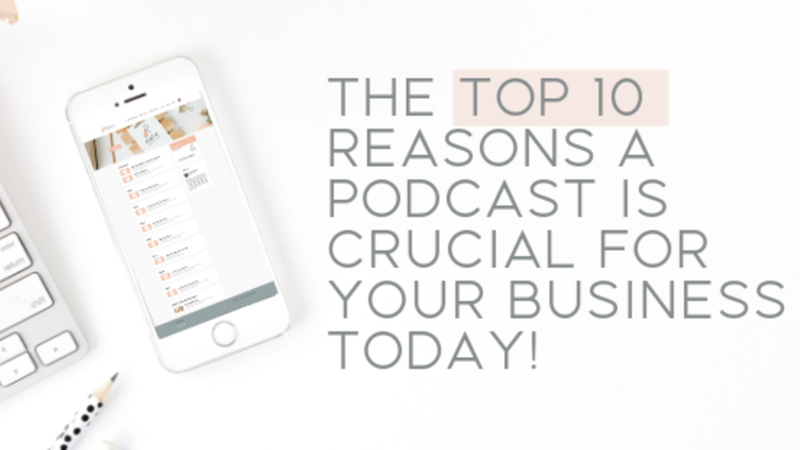 After years of wading through the weeds, I've figured it out, and I want to share how I discovered podcasting and why it's the most crucial step for your business today. 1. Podcasting establishes you as an authority. 2. A Podcast platform gives you the exposure you need and on all platforms. 3. Hosting a podcast allows you to attract an authentic and engaged audience.